Tired of boring town names? So are we. So we did a little research into some of the weirdest village and city names in each state. We don't know about you, but it's beginning to feel like a few road trips are in order… if only to take a photo with the "Welcome to…." sign when you arrive. Unfortunately, this is not a town run by dogs, full of dogs, or even a village with a dog for a mayor. It's just a regular community that isn't particularly interesting (beyond the name). The Facebook page named "Things to do in Dogtown, Alabama" suggests you try searching other categories because there are no suggestions found. Maybe they need more dogs. Scratch that - they definitely need more dogs. Are Lucky Charms Gluten Free? Talk about false advertising… how can Unalaska be part of Alaska? It appears it is a possible misunderstanding of a Russian word meaning "mainland" - as it one of the largest islands in the group known as the Fox Islands. It has rough terrain, a jagged coastline, and a population of approximately 710 people. Still, it sure does look pretty. A question we are sure a lot of people ask when the temperatures top 100 degrees for days in a row - there actually is a small city in Arizona named Why. It's another strange place with a very low population (so low, it's unlisted by the US Census Bureau). 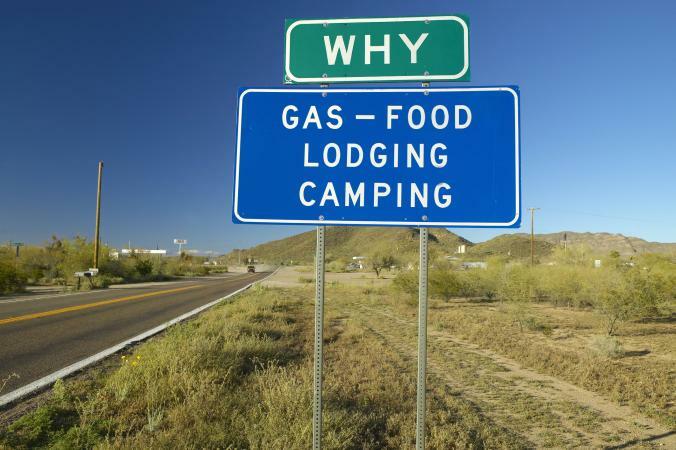 It's named Why because Arizona law requires city names to have at least three letters, despite the original intent to name the community "Y" because of the way State Routes 85 and 86 once intersected nearby (like a Y). And now… it's just a question. Why? Well, they do have a lot of attractions, believe it or not. One can only imagine that someone saw a possum eating a grape when they named this town, or they were just very strange people who wanted to merge a possum and a grape… for science? The story is simple. In the 1950s, the townspeople argued about whether the community should be called Possum or Grape. They couldn't decide, and thus, Possum Grape. We still say someone was just having some fun after being charged with naming the town. Perfect if you like to throw down on the regular, head to this amusingly named California town that considers its residents "souls" (comforting, no?) and boasts about their Volunteer Fire Department almost immediately when you visit their Chamber of Commerce site. You might end up one of the less than 1,000 souls, if you move there, but at least you won't die in a fire. You'll also eat well, as the community events almost exclusively center around food. While it's a long-time animated favorite, not many people know there really is a South Park, Colorado. And yes, the town would like you to know it really isn't anything like the wacky TV show. It is, instead, a gorgeous representation of all that is Colorado. We'd like to note that contained within South Park City, you'll find buildings bought from Mosquito Ridge (I'm itchy thinking about it) and Buckskin Joe. Even though they say they are nothing like the show, it should be noted the iconic Casa Bonita from the show is, in fact, a real Mexican restaurant, located in Denver. This community has a name that makes everyone giggle like a 12-year-old boy. The sign is a popular photo subject, but the name is pretty simple to explain. The Gaylord family arrived in the country in the 1600s and established themselves among the Native Americans already living there through goodwill, trading, and building the area. Thus, Gaylordsville. It makes sense, but the name is still amusing. Delaware is a very small state - with some strange names. We're not sure about you, but an overnight stay in Slaughter Beach, Delaware is maybe...not the best way to get a good night of rest. Officially, the village celebrates being a horseshoe crab sanctuary - and even certified as a wildlife habitat. It is a little hard to get past the name, though. Even if their website is bright, sunny, and all too happy to advertise recycling pickup, coastline restoration, and town council meetings, they still have a name that is going to frighten some people away. Oh, Florida. Is anyone surprised you have a plethora of strange names? After all, you are generally considered one of the strangest states in the union. With so many to choose from, we had to go with Crackertown, which has many stories as to how it came to be named as such, but it apparently had to do with ranchers who were proud to "crack the whip" and nothing to do with more modern meanings of the word "cracker." Though it probably wouldn't hurt if they had a cracker factory or something. 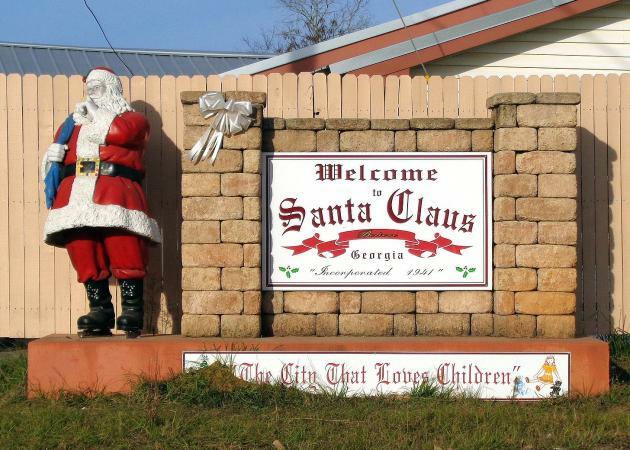 Someone is always feeling festive in the small town of Santa Claus, Georgia. With roads such as Candy Cane Road, Rudolph Way, Dancer and Prancer Streets (those poor other reindeer... they deserve streets, too). Even though it seems like a great seasonal attraction, Georgia.gov doesn't seem to have an interest as promoting it as such. Admittedly, it is a small community, but you'd think it would be really easy to capitalize on a name like that. A strange name, indeed - and one based on a post office, at that. The community is actually part of Kealakekua, which is a more traditional Hawaiian name, but the area's post office was named after the Captain Cook Coffee Company. An interesting historical note, though, is that British explorer, Captain James Cook, was killed in Hawaii in 1779. The initial meeting between the explorer, his crew, and the natives went well, but ultimately, they could not coexist peacefully. Well... that is quite the name. And probably one to get some snickers when someone sends a letter or package if you are one of the few people who live in Slickpoo. Though there is something worse than living in this very small town. That would be sharing a name with Joseph Slickpoo, who founded a Mission site there in the late 1800s. We can only guess they liked the missionary... and the name didn't quite have the same meaning it does today. Is this a diversionary tactic? "Nobody will notice how strange this town is if we just call it Normal. It will be our little secret." Though the town does seem pretty average if not a little too normal. That said, the pumpkin recycling program seems like a good idea you don't see many communities implementing. Oh, and as it turns out, the name isn't nefarious at all - they were named after Illinois State Normal University, a school to train teachers. 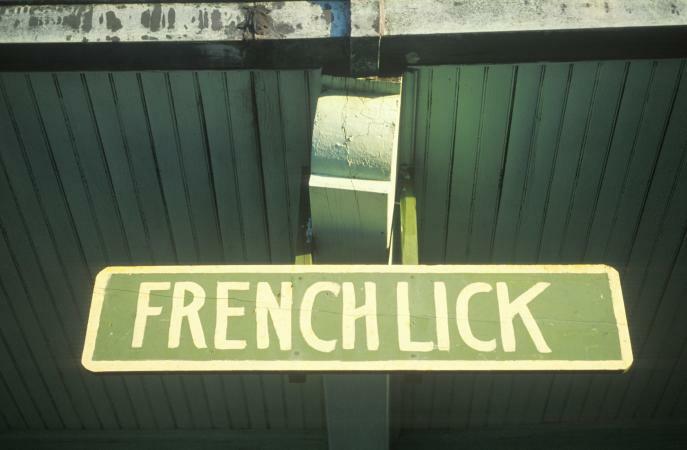 Despite its strange name, French Lick, Indiana is actually a family-oriented town full of tourist attractions. They have a water park that's popular, as well as lots of outdoor attractions. It is safe to say that if you happen to be French, you will be able to navigate the village safely and not have to worry about being licked. The historical town is known for its Hagenbeck and Wallace circus and has many museums dedicated to this history. But the name? They don't really talk about it. This is the perfect town for those of us who are editors and proofreaders, isn't it? Aside from the fact that it was named in 1855 because of its location on a surveyor's correction line, it sounds like paradise for those of us who love to take out the red pen and mark up an article or book from time to time. And it's a rather idyllic looking town. This town likes to be known as a "Peaceful Place in Southwest Kansas" (a sentiment in which you had best agree... or else) and is named for Thomas Ransom, who was a general in the Union Army. Ransom, KS is a pleasant community that features the George Washington Carver Homestead and "The Skyscraper of the Plains," a building completed in 1890. This building is carefully maintained and has a Kansas store that is volunteer-run, so all money will go toward maintaining the landmark. Naturally, Big Bone Kentucky is surrounded by Big Bone Creek and Big Bone Island. Because of course it is. 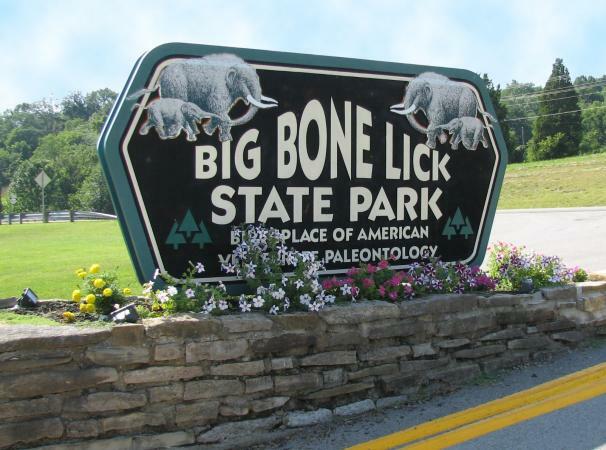 And Big Bone Lick State Park is the most notable landmark. Visited by many well-known European explorers, it was named by Native Americans and settlers who were in awe of all the big bones found in this area from many ancient animals. It may be a strange name, but at least it makes sense. 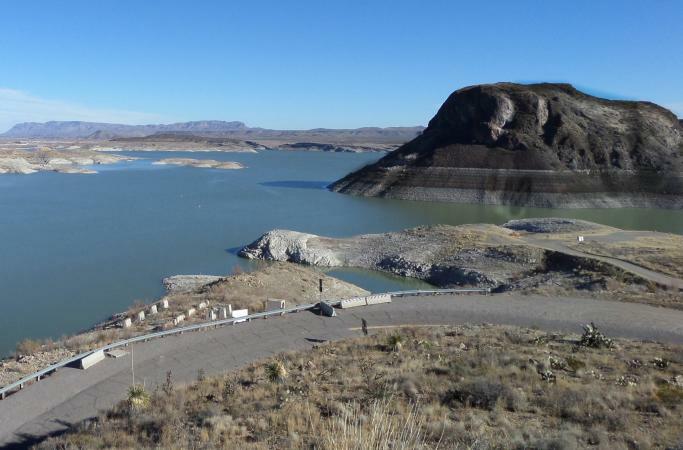 The main attraction is, not surprisingly, a state park that even features a museum. Frogmore, Louisiana is a historic site that features an operational (computerized) cotton plantation, which also offers tours and enables visitors to experience cotton picking for themselves for a hands-on perspective. This is great - especially for history buffs - but what does this have to do with frogs? It appears the plantation (from which the town derives its name) borrowed it from The Frogmore Estates in Berkshire, England - known for their large frog population. Oh forget it... Maine may as well be the United Nations with all their town names that are shared with other countries. 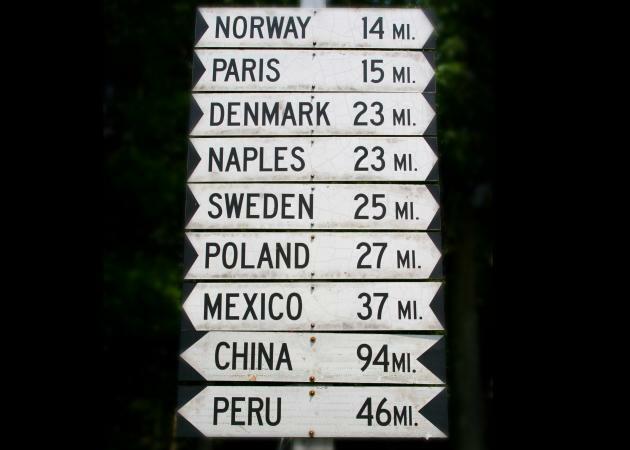 There's Mexico, Norway, Lebanon, Poland, Peru, Sweden... plus some notable cities such as Paris, Oxford, Manchester, Leeds, and Cambridge - among others. We're not going to say whoever named all the towns in Maine was lazy and just borrowed from other places, but we are going to say they're lacking the creativity of say, Delaware and its Slaughter Beach. Okay, so it was named after someone with the unfortunate last name of "Boring." But when you see the "attractions" in the town (including, but not limited to Boring Post Office, Boring Fire Department, and a Boring Methodist Church), you do have to wonder how nobody has considered changing the name of the community. They even have a Boring Flea Market...which you know, maybe some people will go to...if they're really bored. This place is proud of its democratic Open Town Meetings and ever-growing population, as well as its scenery and the participation of the people in shaping the town. That sounds pretty great. So why the name? In the 1700s, it was known as Belcher's Town because of a man name Jonathan Belcher, who was the governor of Massachusetts. The name was later condensed to Belchertown after some land disputes between Connecticut and Massachusetts as to who rightfully held claim to the land. 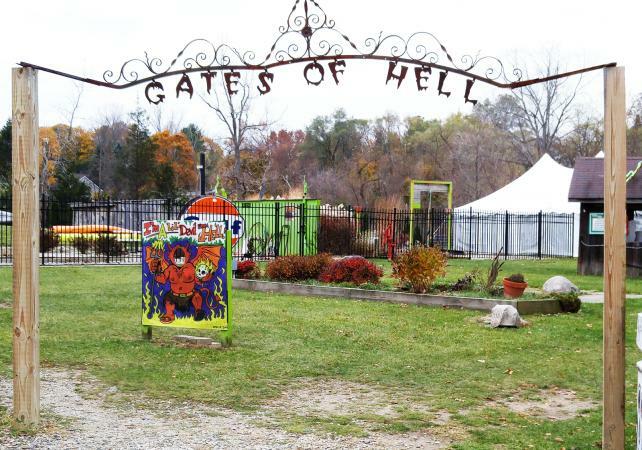 No list of weird names would be complete without Hell, Michigan, which is the king of weird names. And they're so proud of their name, they have a website inviting you to "go to Hell" with suggestions such as having your wedding there, buying a square inch of property so you can own your own bit of Hell, and even be mayor for a day. How did the town get this name? There are theories, but nobody is certain. Nonetheless, the community is having a great time with their unique name - and raking in the tourist dollars. Savage, Minnesota is "Naturally Resourceful," according to their own official website, and they have a parking ban in effect from November through April in case it snows. That's planning ahead. So how did this seemingly calm and cool town get its name? From a horse trainer, obviously. Savage did not always have this unique name - they were once called the astoundingly normal "Hamilton" when the racehorse Dan Patch, became a national sensation, the town changed their name to celebrate Dan's trainer, Marion Willis Savage. Because of course they did. Located near the tourist attraction of the Chunky River (which we may or may not advise swimming in... something about the name just seems like a bad idea), the town of Chunky may get its name from a Native American word for a bird. Or possibly a ball game. Nonetheless, this small village has less than 500 people and most of its residents are over the age of 65, according to a 2000 census. 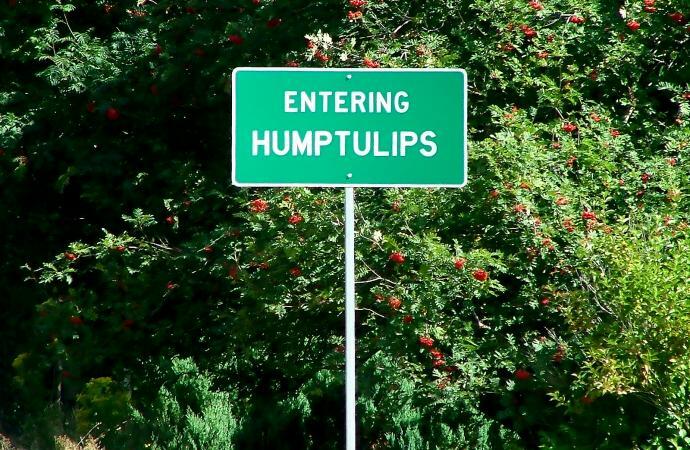 Not a bad place to visit or live, we'd imagine, if you like quaint towns with weird names. What better a town name for this list than Peculiar, Missouri? This community is one that proves that, perhaps, when choosing a town name, it is a good idea to choose - even if you're having a hard time agreeing. Legend has it, the people gave up and told the Postmaster General, "We don't care what name you give us,' they said, 'so long as it is sort of peculiar." They probably should have considered that their Postmaster General clearly had a snarky sense of humor, and thus, Peculiar, Missouri was born. This scenic place with a small town population is surrounded by Glacier National Park. It makes you wonder if it's somewhere to take your horse who would like a meal or if you should bring food for the poor horses living there. The name is a little ambiguous in that way. 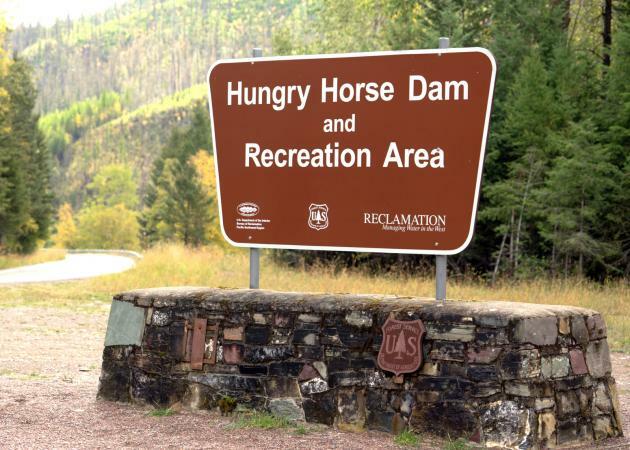 However, it is named after the Hungry Horse Dam. It should also be noted that is this a great place to go if you love to ski and snowboard and enjoy winter sports. The city of Broken Bow, Nebraska was named in 1879 when the very small town wanted a post office. This was not the original choice of names for the town. In fact, it was the third submitted and finally accepted. The village is proud of and rooted in their history, but this place is also modern and thriving. Their slogan, "Rooted, but not standing still" says it all - and this seems like a great place to live and raise a family, even with its odd name. Unfortunately, this interestingly named town is not quite like the (now defunct) love lock bridge in Paris, as romantic as that was until it was taken down. Oddly enough, the city of Lovelock is also known as the "Banana Belt" ... because reasons? 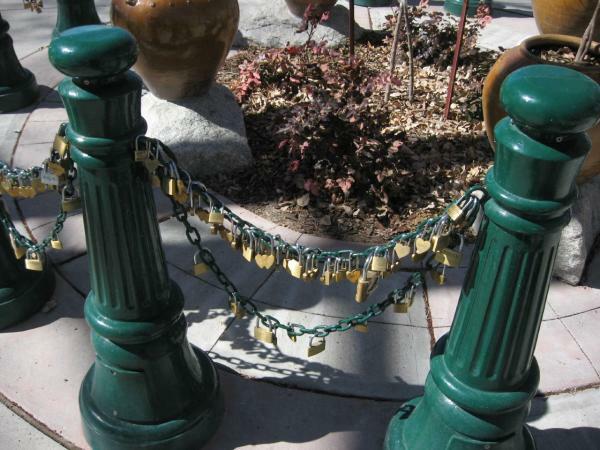 But there is still a space where lovers who are traveling through town can lock their padlocks, symbolizing eternal love, and that's kind of sweet. We'd recommend anyone who heads through here who wants to prove their love contribute a lock, as it perfectly complements this community's odd name. This city name is so... dumb... they can't even spell it correctly. Close enough, we suppose. Their big things are kayakers and bird watchers, which is not the worst activities you can find (birds are awesome). The town earned its strange name during Dummer's War in 1773, named after Massachusetts' William Dummer. It turns out this is what the people who live in this town want it to be named. There was even a vote on the punctuation. Per their own site, " Today every man, woman and child in this historic town is proud to live in a community whose spelling is not duplicated anywhere on earth." And though their community is very involved in local politics, they go out of their way to be friendly to people interested in the town. Despite their strange name, which is a point of pride, they are a really average American village. With a great "welcome to..." sign. Look at the classy spelling! Nothing strange here... The town has an awesome website and welcome, but why are they named this? People believed, in the old days, the butte in the area resembled an elephant. And thus...this is the name of the village, with the namers not quite realizing that maybe leaving "butte" off would have been a good idea. Want to find a horse head in your bed ala "The Godfather"? You won't have much luck here. This happy town in upstate New York has a strange name but is always celebrating something - HollyDays, leaf pickup, and a ton of normal and non-Mafia-related activities. It looks like a great town to visit with tons of photo opportunities. Don't let the name scare you away. We found the one place the Devil does NOT want to go, and it's this small town in North Carolina. Definitely not into the Devil, this is no place for Satanists. They want to kill the Devil. It's in the name. Why? Well, nobody is sure, but the town is home to the Wright Brothers' National Memorial, and reported to be where they took their first flight. It wouldn't have been our choice to experiment with air travel, given the name, but obviously, it worked. Not named after a cannon ball or even a cannon ball factory, this tiny village was named after a nearby river which may have had cannon ball-sized rocks. How unexciting. It has a population of less than 1,000. An interesting name without a great story. Let us all be bummed together. A tiny community in Southern Ohio, Knockemstiff definitely has one of the most imaginative names in the country. Turns out, this little village used to be just one of a group of towns with crazy names in the area, including the likes of Pancake Hollow and Buzzard's Roost. Residents report a couple of possible origins of the unique name, including encouraging words shouted during a barroom brawl ("Knock him stiff!") and the strong moonshine produced in the area during Prohibition (capable of knocking people stiff). Either way, it makes one heck of a return address. Whoa, whoa. This is surely some relic or ghost town from the past, right? Nope. Another community with a bright and sunny official website and a very strange name. And yet, it is the third largest city in the county, and it's a "young town," so there isn't even some old timey reason for the name that somewhat or totally makes sense. So where did it come from? The town came about in the late 1960s and early 1970s with the hopes of freedom to control their own agriculture and fire departments. The name came about because Jim Slaughter owned a business on Slaughterville Road, which naturally, was known as Slaughter's corner. Thus, Slaughterville. Although it might call to mind visions of plumbers and swirling bathtub water, this small city is actually very picturesque. Covered bridges, scenic vistas, and colorful Victorian homes grace the official welcome page. The source of the name sounds like it would be an interesting story, but unfortunately, it's pretty standard. Apparently, the community is named after an early settler, Charles Drain. 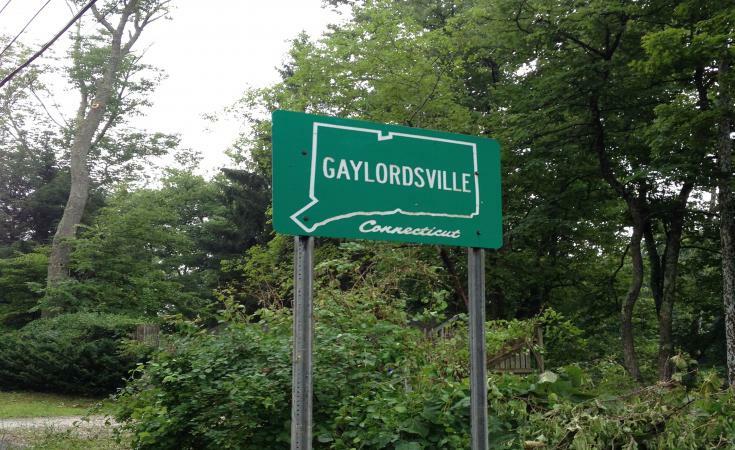 Think about the chuckles you'd get giving this town as your return address. In fact, people find it so amusing that the city has trouble hanging onto its signs (If you're wondering why, just imagine "Welcome to Virginville" decorating a college dorm room). However, no one really knows where the name came from. One theory is that the beautiful, untouched country in the area served as inspiration. Whatever the inspiration, it's pretty likely the town's founding fathers had no idea they would be providing endless amusement to teenage boys. Many of Rhode Island's town names aren't strange; their simply of Native American origins. And then there's Common Fence Point, which is strange and even lazy. Someone built a fence to keep cattle and livestock from escaping, and Common Fence Point was born. After all, it was a common fence, used by all farmers in the area. But they have a nice website, are environmentally friendly, and seem like a friendly town that even has community walks. They just could use a better name. In case you were looking for a confusing address, we have the town for you! North, South Carolina. Established in 1892, the town actually has the creepiest website we came across while researching this article, featuring a small white pop-up box that reads "WARNING!!!! THE POLICE ARE WATCHING!" We hope it's not illegal to have a little fun with a strange name...but just in case, we're going to wrap this one up. P.S. The name is due to the donation of land for a railroad from John F. North, George W. Pou, and Sampson A. Livingston in 1891. We're not sure why Pou and Livingston didn't get the credit. Maybe we should ask the police. Box Elder doesn't really have a history to its strange name and is best known for being home to the Ellsworth Air Force Base. Yet, people still live there because it is pretty scenic and attractive. The name comes from the unspectacular and strange Boxelder Creek, which is...well, a creek. Nonetheless, should you go there, it is not recommended to box any elders. This town has an interesting history that dates back to the Civil War. The story goes that the soldiers who were marching through the area found that the water in a creek that runs through the town was particularly sweet. Whether or not that is true, we have no way to know, but the name Sweet Lips remains. The small community doesn't have much to do, but you could visit the Sweet Lips store for a fun souvenir. This is the real name of a town in Texas that, to boot, is located in Bell County. How could it not be? 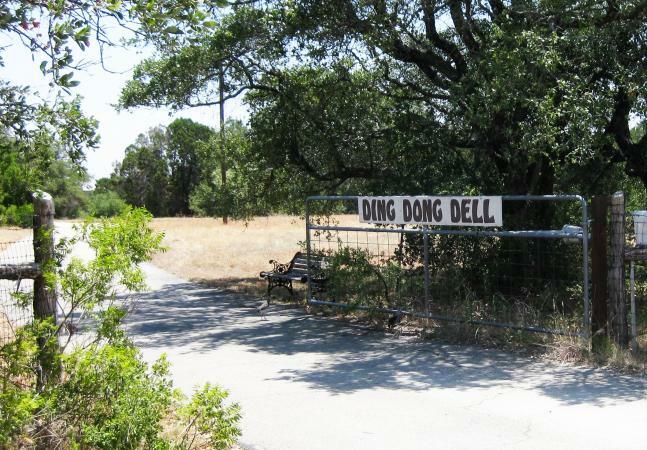 There are tons of legends as to how the area was named Ding Dong, and it turns out it is tied to the county name, which was home to Zulis Bell and Bert Bell. The town's unique name, though, is the handiwork of a sign painter who wanted to do something "original" and decided to paint two bells on a store sign and write the words "Ding Dong" on it. It's a popular attraction in Texas that people love to take photographs with today. As opposed to French or Italian Forks.... This is a town located in Utah County, Utah, and the locals tend to refer to it as A.F. or AF City. Founded by Mormons in 1850, as is a common tale of most villages in Utah, there were some issues between the settlers and the natives and the settlers moved to a fort. This eventually became a "fork," due to the American Fork River, and the rest is history. Let's hope the upkeep on the island isn't lazy... and luckily, it isn't. You may want to avoid Kamp Kill Kare State Park (which has one review on its official site that simply reads, "Great spot for fishing or playing lawn games in the field! "). The rest of the island appears to be absolutely gorgeous, despite the name. You'll need to go to nearby St. Alban's City to find a hotel room in which to sleep, but this seems like the perfect place to spend a night or a weekend. Mmmmm. Can't you just smell the French fries cooking? Isn't it what you expect? Well, sorry to let you down. Fries is known for its outdoor activities, such as biking, fishing, running, and even bird watching. It claims to be "the friendliest little town in Virginia" - and may well be. We still don't advise bothering the residents about where to get the best fries and asking them if they "get it." Without having been there, we're more than positive that they do... and they did the last 500 times they were asked. Wait - what? Yes, that is a town name. And a strange one, but with good reason. It is a Native American word that means chilly region. There isn't much information on this small village in Washington, but the people seem to like eating pizza and seafood - and it's probably a place that's not very exciting for younger people, as it is endorsed by the AARP. Not named because of inclement weather, but rather because a party sent by George Washington assumed the weather was windy and wild because of the area's distinctive bent trees. This led to a Hurricane Bridge and a Hurricane Creek, because let's face it, these people just weren't that creative. Either this is a place full of podiatrists, or there is some explaining to do. As is often the case, the town is named after a founder, or in this case, a land speculator - Ezra Foot. The official website has an incredible amount of detail about the town, which has 807 residents. The most interesting? They are the first place in the United States to have a lighted ball diamond, which debuted in 1931 - three years before they had a sewage disposal plant. The place where you are least likely to meet or know your neighbors, Recluse is a small town that was named after an abandoned post office that is actually operational today (albeit with rather limited hours.) It even has a school, meaning it is far more populated than one would expect, given its unique origins and name. Good for them. Everyone likes to end on a high note, and Recluse, Wyoming? You're a real comeback kid. 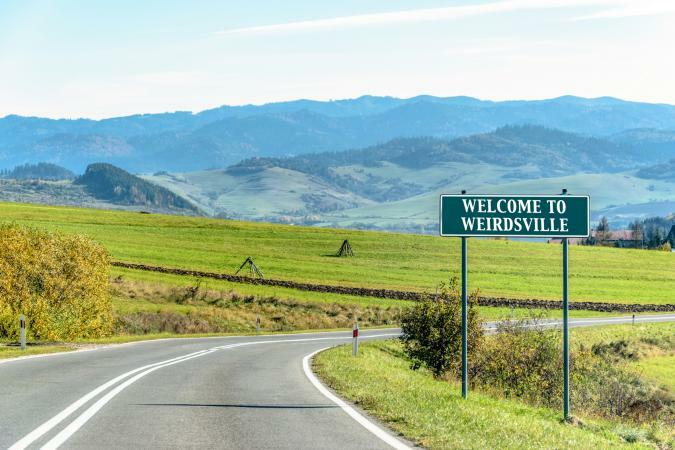 Whether you're looking for a new return address to entertain everyone you know or you just like learning about the crazy places you can visit, this list proves there no shortage of entertaining town names in the US. Take a look and maybe even plan a roadtrip! Can you imagine the photos you could get next to all those crazy "Welcome to..." signs?